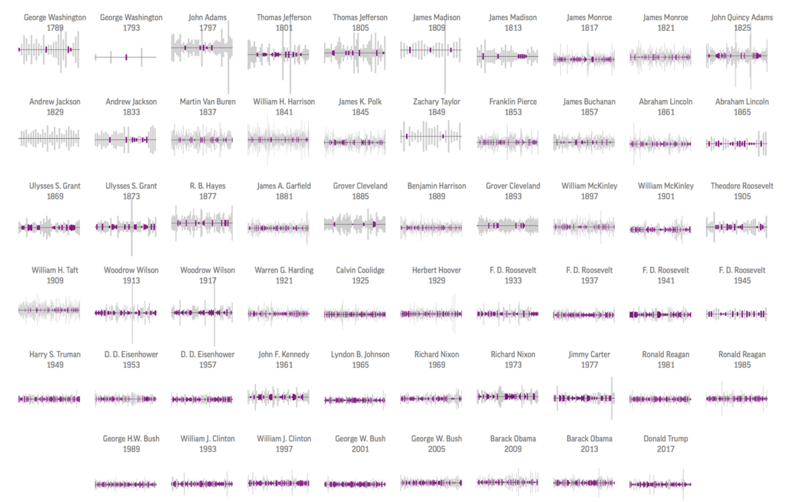 Political speeches delivered by Trump prior to his inauguration departed from most former presidents or presidential candidates as they composed of short sentences and fragmented ideas. Ahead of the inauguration, we decided to explore the changing style of inaugural addresses since George Washington delivered the first one in 1789, and see where Trump’s 2017 speech would fall onto the spectrum. After spending weeks playing around historical speech text, we landed on the single focus of the narrative: sentence length. We talk simpler sentences now than in the earlier days. The inaugural addresses reflect that. Only four out of the 51 sentences in the first inaugural address has fewer than 20 words. The average sentence length in the 2017 speech is 15.9 words. 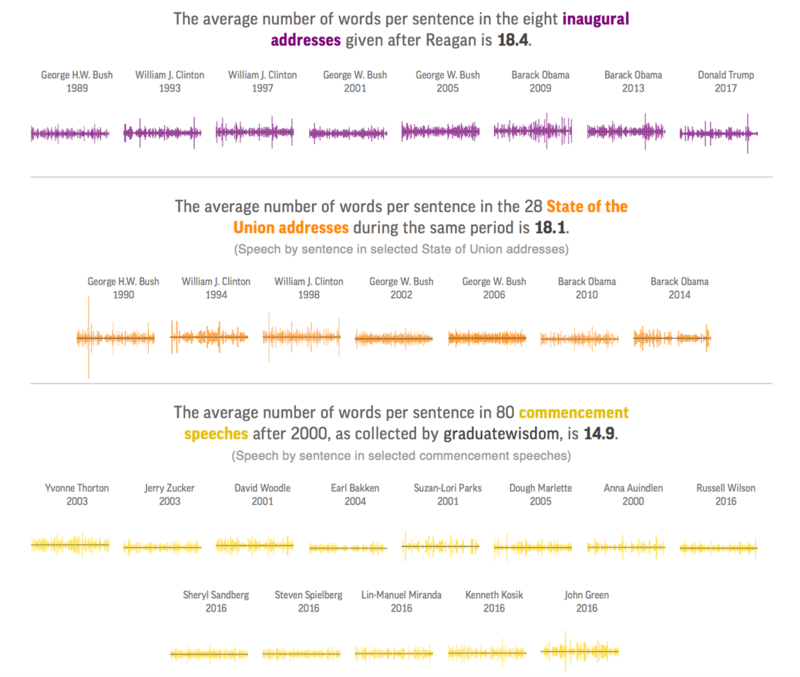 To put sentence length of inaugural speeches in context with public speeches in other scenarios, we also analyzed sentence length of post-1990 State of the Union speeches, commencement speeches after 2000 as well as speeches given by Trump at his 68 campaign rallies in 2015 and 2016.